It takes minutes to prepare very basic and simple crepe batter from everyday ingredients. Crepe is thin frayed in a hot pan pancake made from wheat flour and at least very basic ingredients found in the next recipe. Fraying time: for all 16 crepes around 30min. 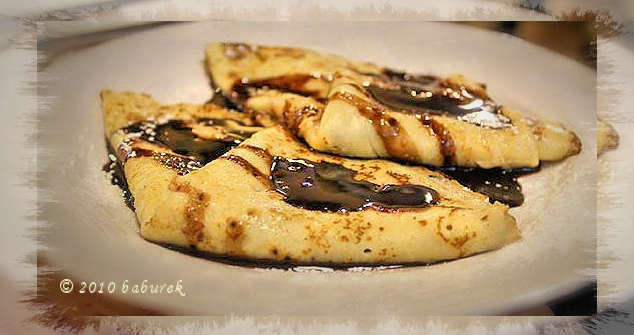 Serving: filled or topped with a jam, chocolate, maple syrup, fruits, ice cream, etc. 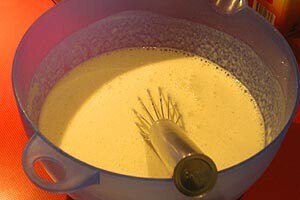 Tip: If for some reason you prefer not to use milk for crepe batter, vanilla flavored soy drink will make a great substitute.